Mr. Lipe received a B.A. in 1980 from Tulane University in New Orleans, La. He received his J.D. in 1983 from the University of Illinois College of Law, where he was a member of the national moot court team and received the Rickert Award for Excellence in Moot Court. In addition, Mr. Lipe has been admitted pro hac vice in state and federal courts in several additional states. 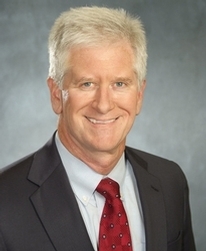 Jeffrey H. Lipe is a founding partner of Lipe Lyons Murphy Nahrstadt & Pontikis Ltd., head of the firm's general liability practice, and a member of the professional liability, commercial litigation, product liability, construction, transportation and labor and employment practice groups. Mr. Lipe focuses his practice on product liability, construction litigation, commercial litigation, employment counseling and litigation, premises liability, and transportation liability matters. He is "AV Preeminent" peer review rated by Martindale-Hubbell, reflecting the highest peer recognition for ethical standards and legal ability. Mr. Lipe has been selected by his peers for inclusion in Illinois Leading Lawyers for commercial litigation, personal injury defense law – general, and personal injury defense law – products liability. 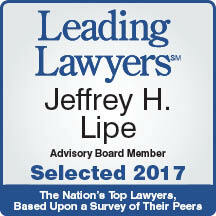 Mr. Lipe was also selected as among Chicago’s Top Rated Lawyers for 2014 in Commercial Litigation, Construction Law and Insurance Law. Mr. Lipe is a trial attorney with over 30 years of experience and has tried more than 30 cases to jury verdict in state and federal courts. He has particular experience with the preparation and trial of catastrophic injury and wrongful death claims. Mr. Lipe represented Metra and Chicago and North Western Railroad in the highly publicized trial involving noted violinist Rachel Barton, who was dragged and run over by a commuter train while disembarking. He also achieved a complete defense verdict for an international crane manufacturer in the retrial of a product liability lawsuit alleging defective design of an overhead crane. Another defense firm had handled the first trial, which resulted in a $16 million verdict for the plaintiff. In the employment area, Mr. Lipe has successfully defended employers in lawsuits alleging violations of the Americans with Disabilities Act, Title VII, Equal Pay Act, Illinois Health Care Right of Conscience Act and ERISA. Among his many representations, he obtained summary judgment on behalf of a hotel owner and manager in a lawsuit brought by a former employee alleging failure to make reasonable employment accommodations, wrongful termination and denial of health insurance coverage on the basis of plaintiff's infection with the HIV virus. Mr. Lipe also has extensive experience with construction litigation involving breach of contract and professional liability claims for delay damages and escalation costs, as well as general liability claims alleging unsafe work practices.